Too many Americans are going to court without lawyers. As Lauren Sudeall Lucas and Darcy Meals noted in an essay in The Conversation, 80 to 90 percent of people in some states are litigating their cases without attorneys, even when their opponents have legal counsel. In Georgia, the authors assert, courts heard 800,000 cases last year involving self-represented litigants. Lucas and Meals maintain the United States has "far too few lawyers," but I disagree. As Paul Campos and others have written, there has been a downturn in the legal-services market; and law schools are churning out thousands of new attorneys who graduate with six-figure student loans and no job prospects. The United States has enough lawyers; in fact, we have too many. The problem is this: practicing lawyers are not representing middle-class people and the poor. Why? Because most Americans can't afford to pay an attorney to guide them through protracted litigation. Lawyers leave law school with an average debt load of $140,000; and they must make at least $100,000 a year just to service their student loans. Consequently, attorney fees are too high for most Americans to pay. Lucas and Meals didn't mention the plight of student-loan debtors, but this is a special class of people who need good bankruptcy attorneys. In 2012, Jason Iuliano wrote an important law-review article in which he reviewed bankruptcy filings in 2007. Iuliano found that 238,446 student-loan debtors filed for bankruptcy in 2007, but only a few hundred filers even attempted to discharge their student loans. This is unfortunate because Iuliano estimated that 39 percent of the student borrowers who filed for bankruptcy that year "would have been good candidates to obtain relief." Remarkably, a few student debtors have gotten their student loans forgiven in the bankruptcy courts even though they were not represented by a lawyer. Richard Precht in Virginia and Jaime Clavito in California filed adversary actions against the Department of Education and obtained stipulated discharges of their student loans without going to trial. These are amazing victories. Self-appointed experts assert again and again that student loans cannot be discharged in bankruptcy, but this is not true. In recent years, several people have wiped out their student loans in the bankruptcy courts. 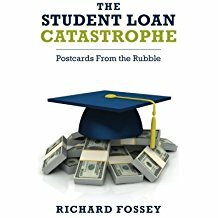 Moreover, without a doubt, the federal bankruptcy judges are becoming more sympathetic to distressed student borrowers; and the courts are increasingly willing to rule in favor of student-loan debtors when the Department of Education or one of its rapacious debt collectors opposes bankruptcy relief. As I said, the United States has plenty of lawyers, but not enough of them are concerned about justice for the poor. Dozens of public advocacy groups joined lawsuits in support of transgender students who demanded the right to choose their toilet facilities, which is commendable. But 20 million Americans are being crushed by student-loan debt, and very few lawyers have come to their aid. Where is the Southern Poverty Law Center? Where is the ACLU? Where are the legal aid clinics? Why haven't these agencies joined the fight to bring debt relief to deserving student borrowers? Just a few able and committed lawyers could completely change the legal landscape for student-loan debtors. I estimate that 25 or 30 competent lawyers, defending a few clients in several federal circuits, could persuade the federal courts to reinterpret the "undue hardship" standard that has been applied so harshly against desperate student borrowers over the years. In my view, the federal courts are willing to ruling in favor of student borrowers who file bankruptcy if only they are presented with good legal arguments. Many--perhaps most--bankruptcy judges are liberal minded. They know it is their job to provide a fresh start to "honest but unfortunate" debtors. Moreover, I think many are offended by the way the Trump administration has handled the student-loan catastrophe; or at least they would be offended if they were educated by student-loan debtors' attorneys. It is time to face harsh facts. Millions of Americans have committed financial suicide by taking out student loans they can't pay back. The student loan program has driven legions of people out of the national economy, preventing them from buying homes, getting married, or saving for their retirement. Congress has not done anything to provide relief. In fact, the House of Representatives recently approved a bill that will make it almost impossible for defrauded student debtors to sue the for-profit colleges that swindled them. 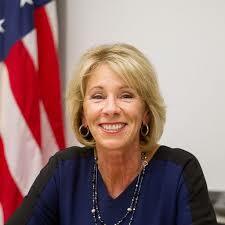 The Department of Education, now run by the wicked witch of the east, Betsy DeVos, is doing everything it can to advance the venal interests of the for-profit college industry. The bankruptcy courts provide the only hope for relief from oppressive and unpayable student-loan debt. Good lawyers need to represent oppressed student debtors in the bankruptcy courts, educating the judges about the Tenth Circuit's Polleys decision, the Seventh Circuit's Krieger decision, the Eighth Circuit Bankruptcy Appellate Panel's Fern decision, and the Ninth Circuit BAP's Roth decision. The judges need to understand that federal case law now often favors the student-loan debtor. In sum, we have enough attorneys; but we do not have enough lawyers who are willing to go toe-to-toe against the U.S. Department of Education, the debt collectors, and the sleazy for-profit college industry. Richard Fossey. Why students need better protection from loan fraud. The Conversation, August 24, 2017. Jason Iuliano. An Empirical Assessment of Student Loan Discharge and the Undue Hardship Standard. 86 American Bankruptcy Law Journal 495-525 (2012). We often hear that student loans cannot be discharged in bankruptcy---don't even try. But in fact, quite a few people have gotten relief from their student loans in the bankruptcy courts. And a few student-loan debtors have gone to bankruptcy court without lawyers and been successful. But if you go to bankruptcy court to shed your student loans, you should bring a good attorney because the Department of Education or one of its agents will be there to meet you, and DOE and its proxies have battalions of skilled lawyers who will fight you every step of the way. Johnson v. U.S. Department of Education, decided in 2015, illustrates why student-loan debtors should have good lawyer to represent them in the bankruptcy courts. In that case, Judge Tamara Mitchell, an Alabama bankruptcy judge, refused to discharge Ronald Joe Johnson's student loans even though he and his wife were living on the edge of poverty. If Mr. Johnson had been represented by a competent attorney, I think he might have won his case. In 2015, Johnson filed an adversary proceeding in an Alabama bankruptcy court, seeking to have his student loans discharged. The U.S. Department of Education opposed a discharge (as it almost always does), and a lawyer from the U.S. Attorney's Office in Birmingham, Alabama showed up to represent DOE and make sure Johnson lost his case. Johnson had taken out student loans in the 1990s to enroll in some sort of postsecondary program, which Judge Mitchell did not bother to describe in her opinion. Johnson testified that he had enrolled for four semesters but had only completed one of them, He testified further that his studies had not benefited him at all. In 2000, Johnson obtained a Direct Consolidation Loan in the amount of about $25,000, with interest accruing at 8.25 percent per year. Although he paid approximately $10,000 on the loan, mostly through wage garnishments and tax offsets, he hadn't reduced the principal by even one dollar. In fact, when Johnson appeared in bankruptcy court in 2015, his debt had grown to over $41,000. Mr. Johnson desperately needed relief from his student loans. He testified at trial that he made about $2,000 a month working at two jobs; he was a municipal employee and also an employee at a local Walmart. His wife suffered from diabetes, which required expenditures for insulin and other supplies; and of course some of his income had been garnished by the government. Unfortunately for Mr. Johnson, he signed a formal stipulation of facts that a DOE lawyer had cunningly prepared. In that stipulation, Johnson affirmed that it would not be an "undue hardship" for him to repay his student loans. Although Mr. Johnson did not know it at the time, he lost his adversary proceeding the instant he signed his name to DOE's prepared stipulation. Debtors cannot discharge their student loans in bankruptcy unless they can show undue hardship; and Mr. Johnson admitted in writing that paying back his loans would not be an undue hardship. If Ronald Joe Johnson had been represented by a lawyer, he would never have signed that document. Moreover, a lawyer would have told him to bring evidence to court documenting his wife's medical expenses. In short, Johnson was a sitting duck when he walked into Judge Mitchell's bankruptcy court without legal counsel. Judge Mitchell noted that he admitted that his loans did not present an undue hardship and that he had not brought any evidence of the expenses he had incurred to treat his wife's diabetes. And then Judge Mitchell walked Johnson through the the three-pronged Brunner test and concluded that he failed all three prongs. He was able to pay back his loans and maintain a minimal standard of living, Judge Mitchell ruled; and he had not shown any additional circumstances indicating he could not pay back the loans in the future. Finally, Judge Mitchell ruled that Johnson failed the good faith test because he had made virtually no loan payments other than payments made through income-tax offsets and wage garnishments. Mr. Johnson had gone to court to argue reasonably that he believed he had paid down his loans through income-tax offsets and wage garnishments. All he asked for was relief from the interest and penalties that had been added to his debt. But Johnson's arguments fell on deaf ears. He and his wife are stuck with a debt that grows larger every day and will probably never be repaid. Why can't student debtors find good lawyers? First, lawyers are expensive, and people who go to bankruptcy court don't have money to hire a good lawyer. Second, bankruptcy lawyers are not keeping up with recent trends in the bankruptcy courts and many believe--incorrectly--that it is impossible to discharge student loans in bankruptcy. Thus, even if Mr. Johnson had had money to pay a lawyer, a bankruptcy attorney might have told him that it would be pointless to try to shed his student loans in bankruptcy. Third, legal aid clinics and poverty law centers, which should be representing people like Mr. Johnson, aren't interested in the student-loan crisis. They would prefer to provide pro bono legal services in landlord-tenant disputes or fight courthouse battles over traditional civil rights issues. In fact, I called the Southern Poverty Law Center, which maintains an office in Alabama, and asked if the Center would help desperate student-loan debtors. I was told the SPLC does not do that kind of work. Distressed student-loan debtors need legal representation in the bankruptcy courts, but they are not likely to get it. Nevertheless, some bankruptcy judges have begun issuing sensible, compassionate, and well-reasoned decisions on behalf of people like Ronald Joe Johnson. Unfortunately for Mr. Johnson, Judge Tamara Mitchell is not a a compassionate bankruptcy judge. Johnson v. U.S. Department of Education, 541 B.R. 750 (N.D. Ala. 2015).